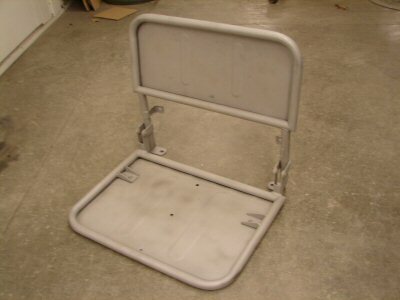 FJ40 Jump Seats Restoration- I know I have seen many jump seats that have been abused over the years. It is typical for the hinges to become stiff and for the welded hinge to tube to break. Thus rendering the seat useless. Watch as we restore a set of jump seats with welding, sand blasting, paint and upholstery.